Let's jump right into it, shall we? This box included a mini Color Club nail polish in Insta-This, a Jouer (yay!) 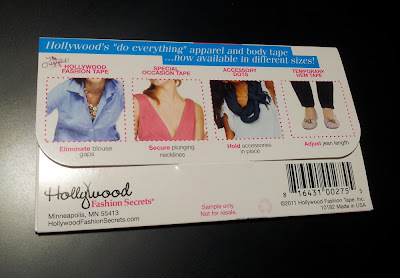 Matte Moisture Tint, a Kate Spade Twirl perfume, a Skin, An Apothecary Soy Body Whip in Poppy, a... twistband..., and some Hollywood Fashion Secrets fashion tape. The Color Club polish in Insta-This is a royal blue creme that is opaque in 2 coats. I don't know about this color with my skin tone. 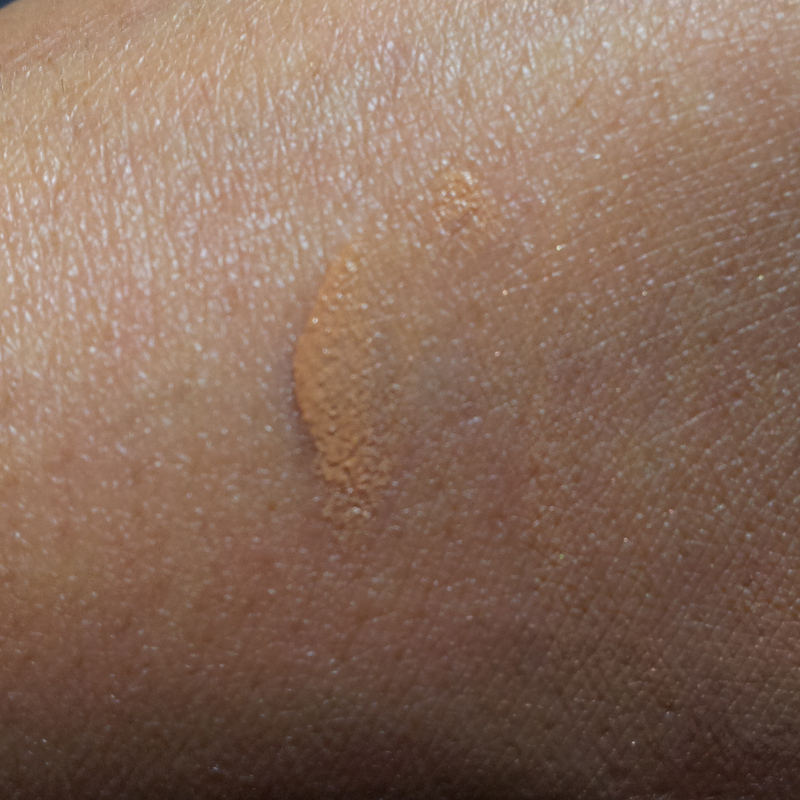 Last month I got Blue-Ming and it did not like my skin tone at all, it was so bad that I took it off instantly. I'll give Insta-This a try. 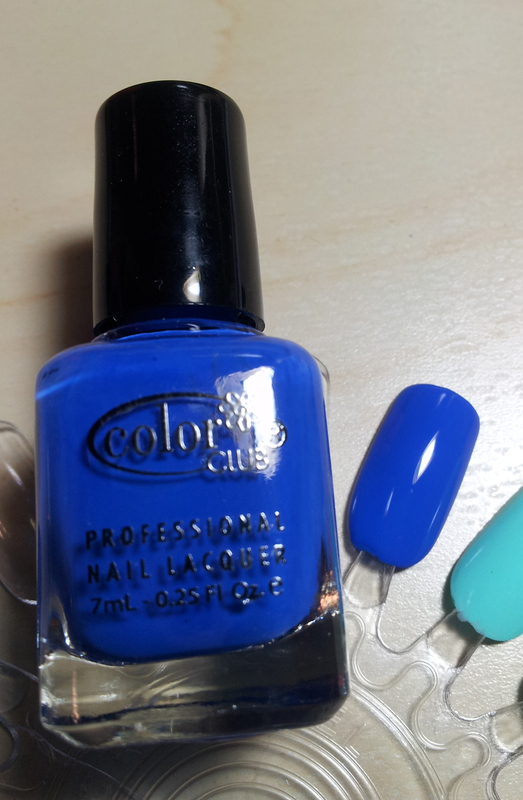 This shade is perfect for the summer-fall transition, and I don't have a pure royal blue in my stash, so I'll take it. 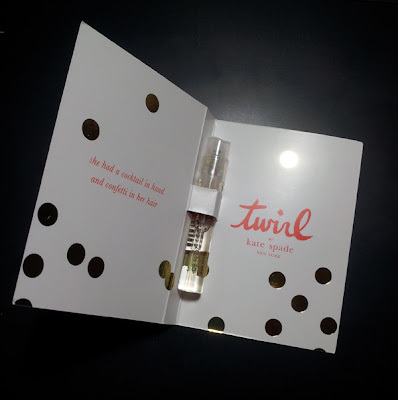 Next up is Kate Spade Twirl eau de parfum. I actually like the way it smells on my. Great for a night out. 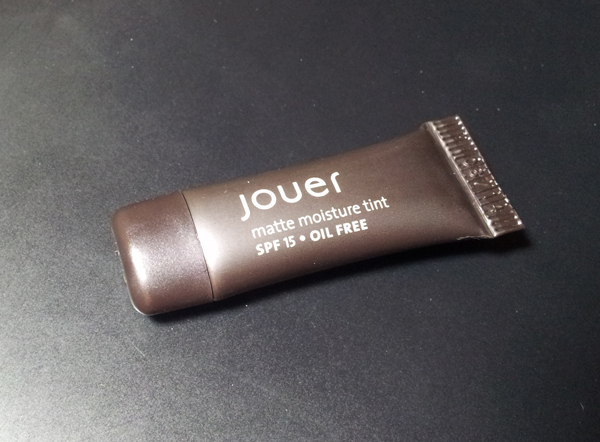 Then we have Jouer matte moisture tint SPF 15. I'm pretty excited to try this since people have been raving about Jouer products. The shade is pretty close to my skin tone, so I'll take it. 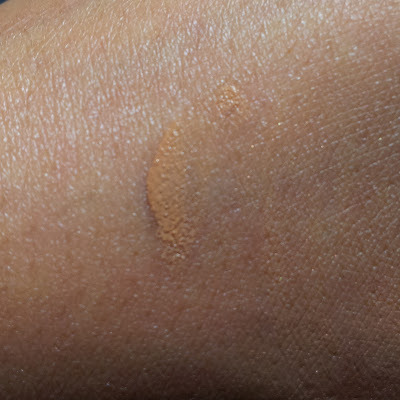 It is nice and scentless, and does dry matte on the skin. 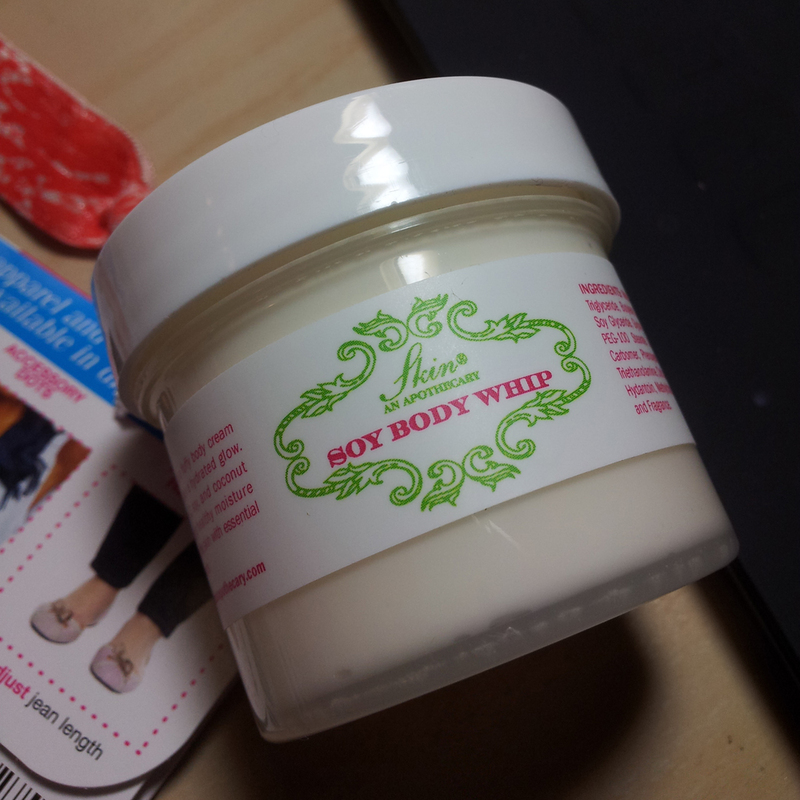 Then we have a Skin, An Pothecary soy body whip. 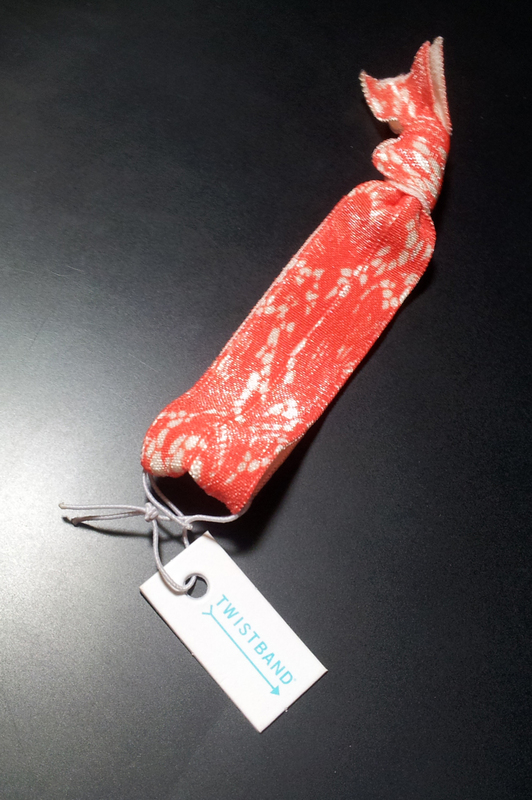 It smells like... fresh linen / cotton. I'm not too fond of the smell... but the texture is not bad. I'll probably use it to hydrate before bed. Okay, the last thing from this box is fashion tape. I guess it will come in handy sooner or later. I don't have having these lying around. 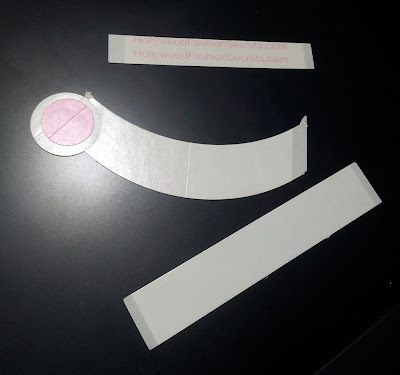 At first glance, it looks just like any other sticker... I can't say yet whether it works well or not.